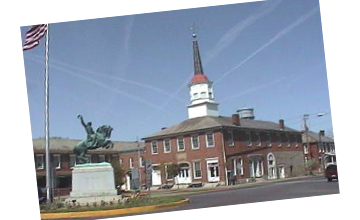 Somerset, located in Perry County, Ohio is a small town settled in 1808 by Pennsylvania Dutch who traved Zane's Trace, which is now Main Street in Somerset. 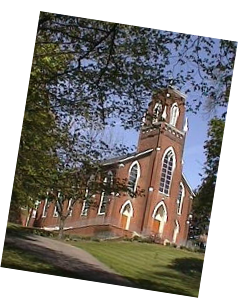 Ohio's oldest Catholic and Lutheran Churches still stand in Somerset. The home which is now Clay Haus was one of the first homes built along Zane's trace, dating back to 1812. General Phil Sheridan - General Sheridan's statue is seen in Somerset's town square at the intersection of St. Rt. 13 and U.S. Rt. 22. His parent's home is on St. Rt. 13 (built by General Sheridan for his parents) and his boyhood home is just west off St. Rt. 13 on West Sheridan Ave. When Sheridan was a boy, his parents moved to Somerset. His famous ride from Winchester to Cedar Creek during the Civil war, changing defeat into victory for the North, gave him national prominence- Sheridan died in 1888, buried at Arlington National Cemetery.